Ethiopian star Teddy Afro’s concert cancelled again! Ethiopian singer Teddy AfroEthiopian singer Teddy Afro’s trademark ‘Love shall triumph’ (Fiqir Yashenifal) slogan will not be echoing across Laphto Mall in Addis Ababa on Sunday 4 October as the artist’s concert for Mesqel, the Ethiopian Christian holiday of ‘the Finding of the True Cross’, has been cancelled. This is the second time in recent months that a concert by the popular singer and songwriter has been cancelled. In early September, his plan for a concert during the eve of Ethiopia’s New Year was thwarted due to lack of a permit from the city administration. According to Ethiopian news outlet Fortune, a representative of the organizers visited the city administration last week twice, but without a letter of request. Speaking to Fortune, Feleke Negash, the head of Cabinet Affairs Directorate of the Addis Ababa City Administration, said the first concert was cancelled due to overlapping programmes. For the New Year’s Eve concert, an estimated 6000 fans were expected to flock to Laphto Mall to be entertained by Teddy Afro’s captivating music, with its uniquely popular melodies and often nostalgic lyrics, which are at times highly divisive and politically charged. 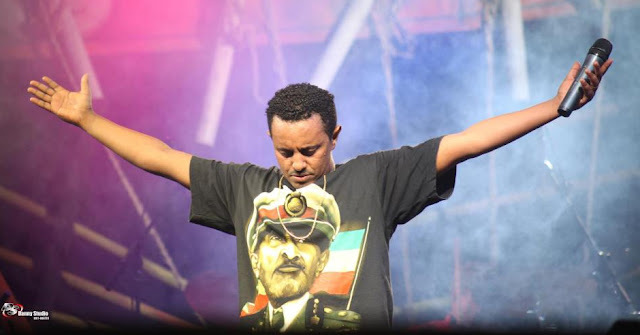 Teddy Afro (real name Tewodros Kassahun) is one of the most popular artists in Ethiopia. His fourth and most recent studio album, Tikur Sew, was released in 2012. Its lead single ‘Tikur Sew’ paid tribute to Ethiopia’s Emperor Menelik II as a champion for all African people, citing his feat of leading the Ethiopian people to victory at the Battle of Adwa. The singer apologized for the inconvenience caused by the latest cancellation. His fans took to social media to express their anger, directed at city authorities, and to show support for their musical idol. “The cancellations reflect badly on the organizers,” Alazar Ahmed, a local marketing and promotions expert, told Fortune.